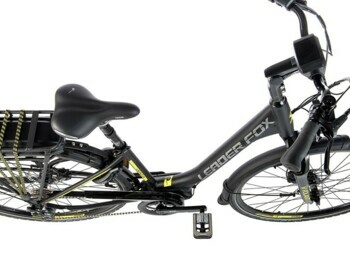 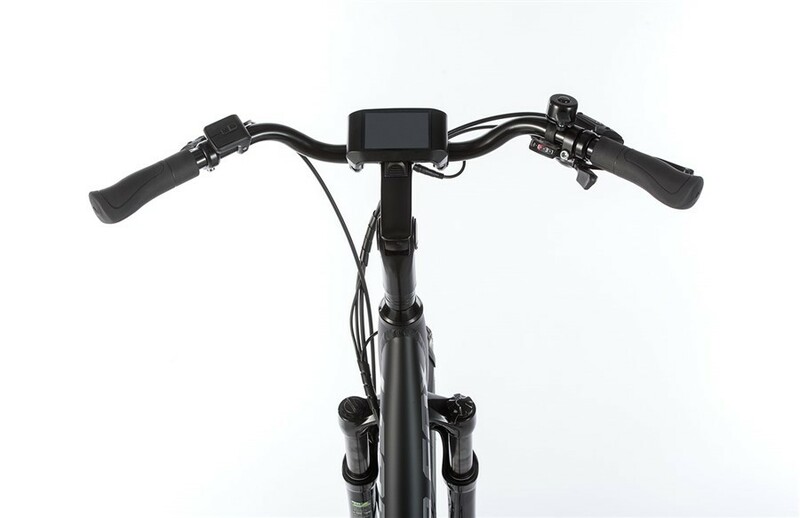 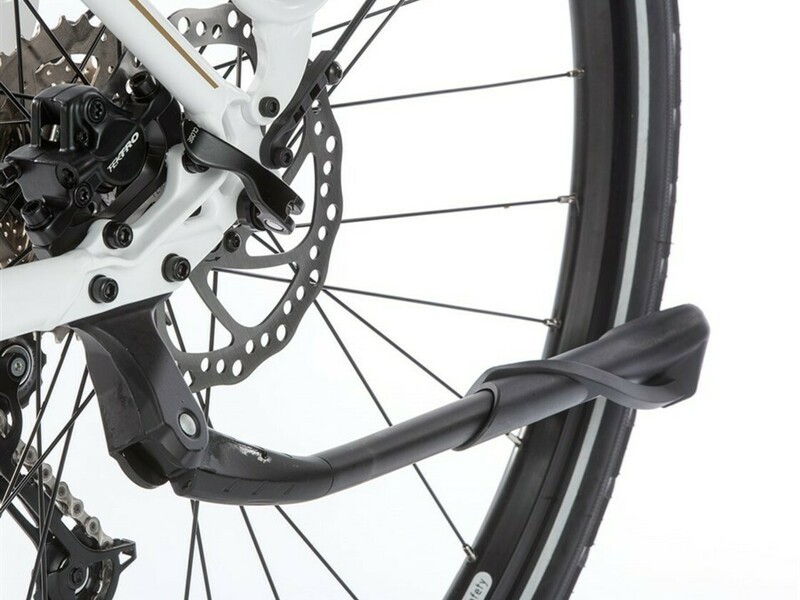 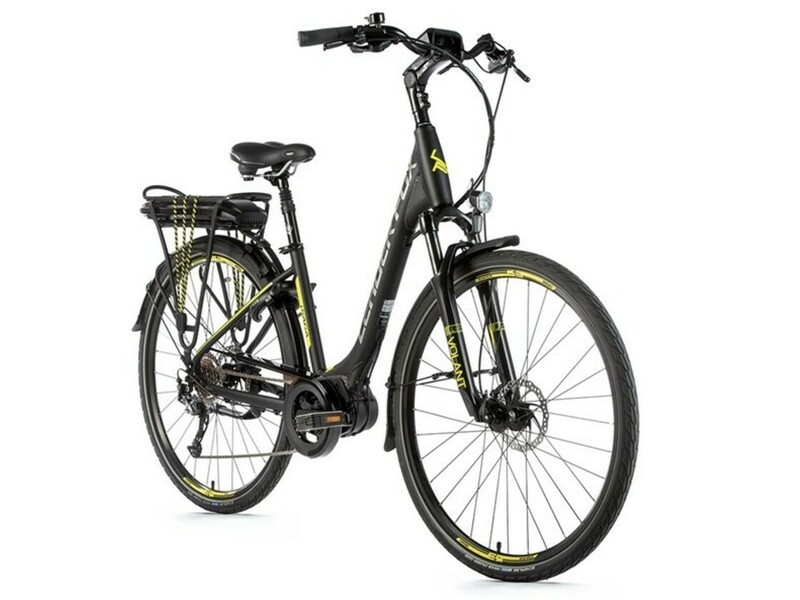 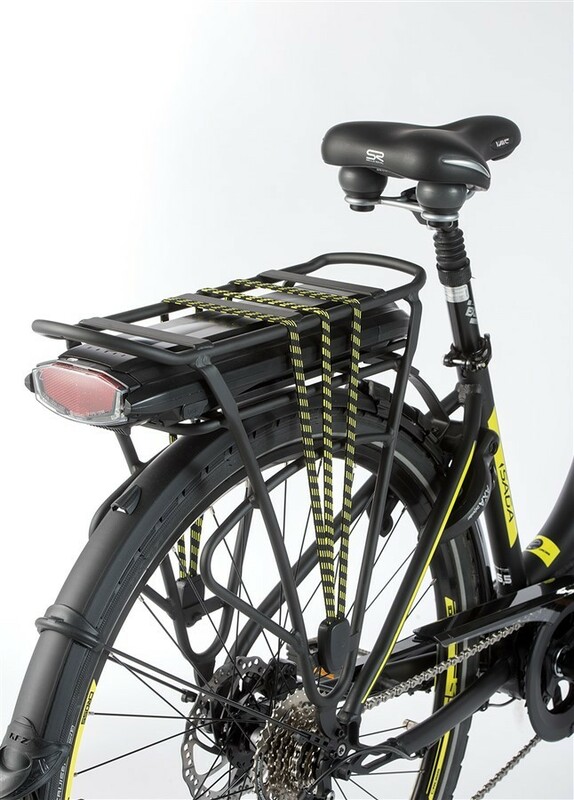 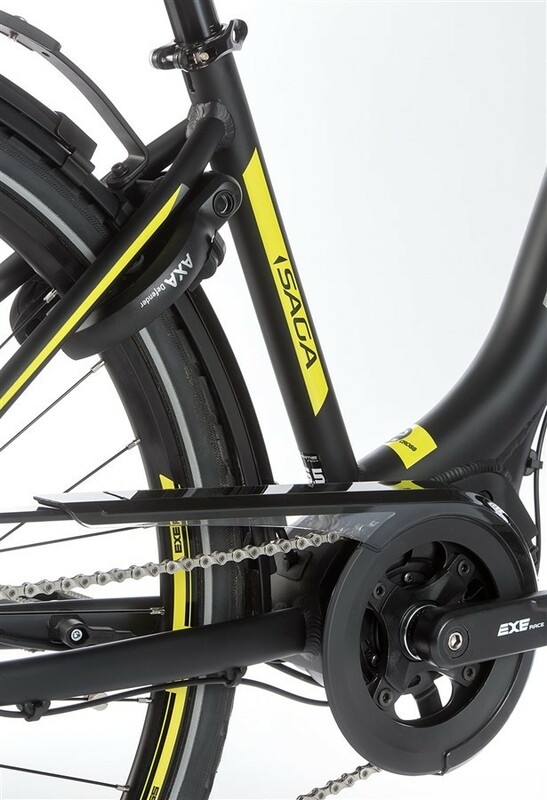 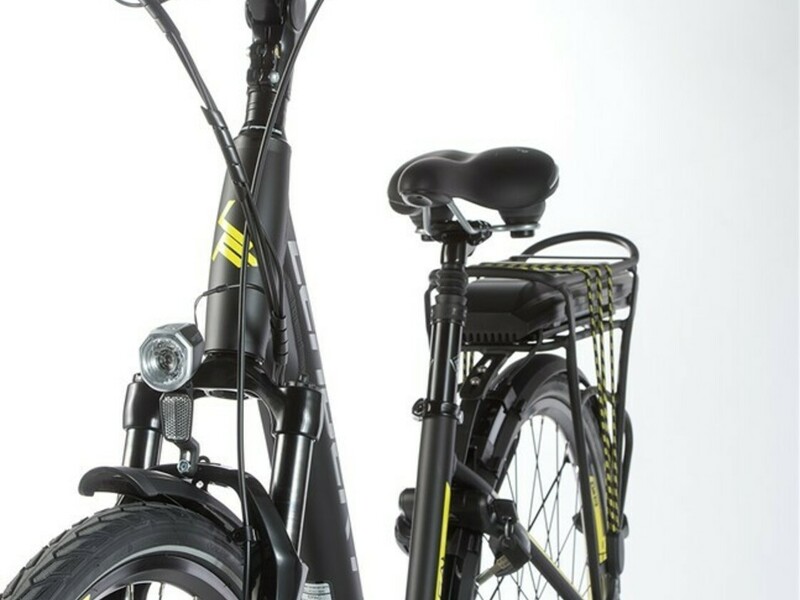 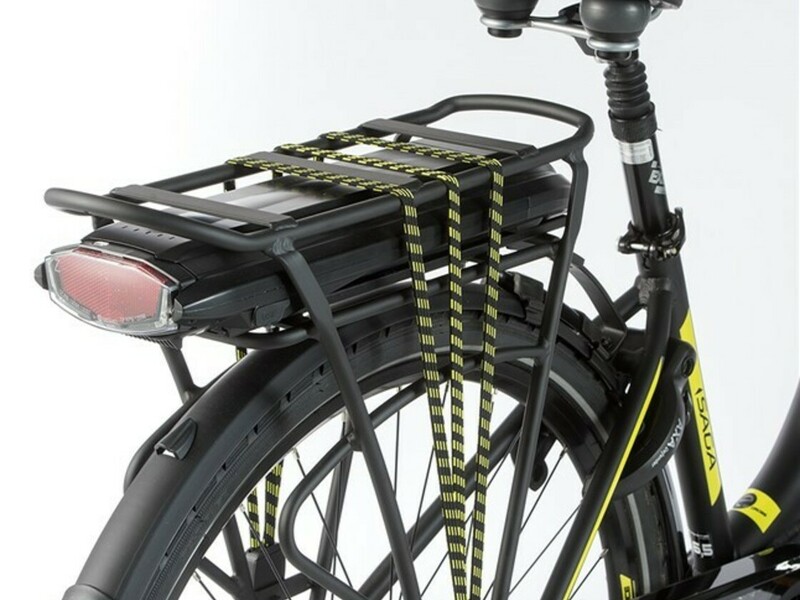 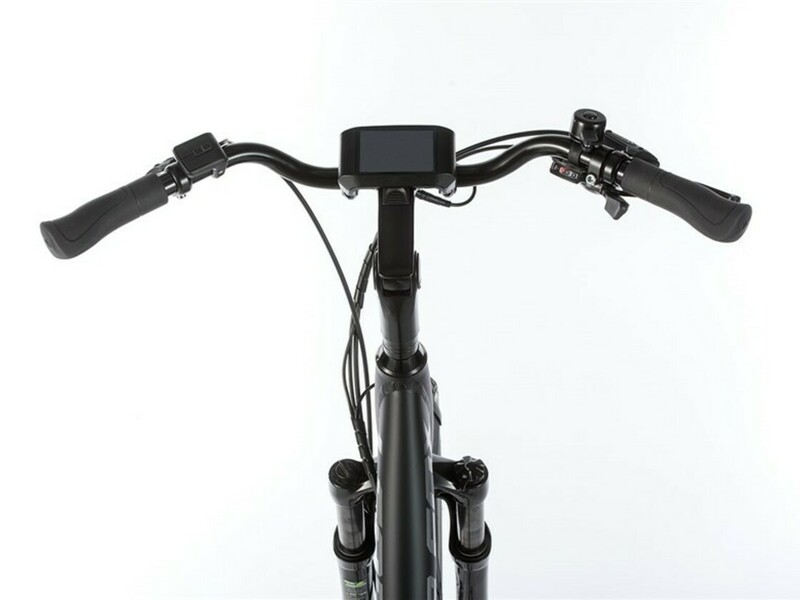 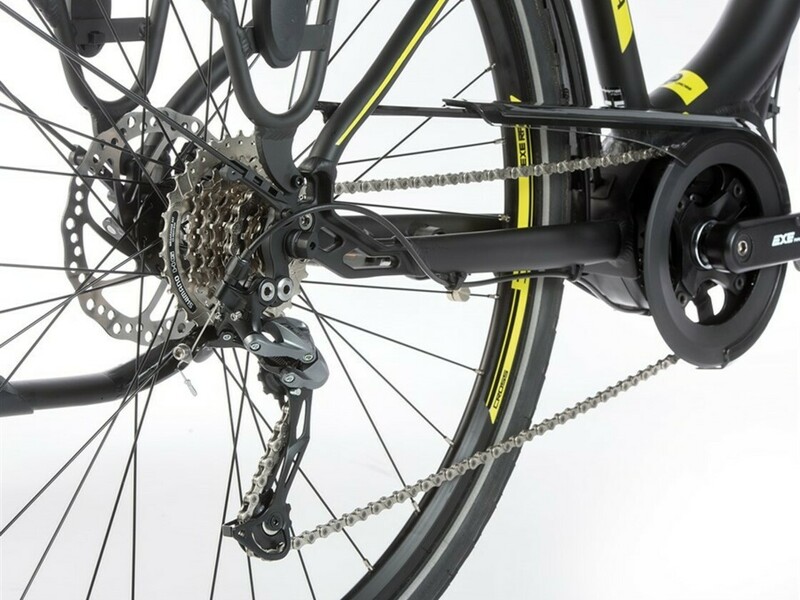 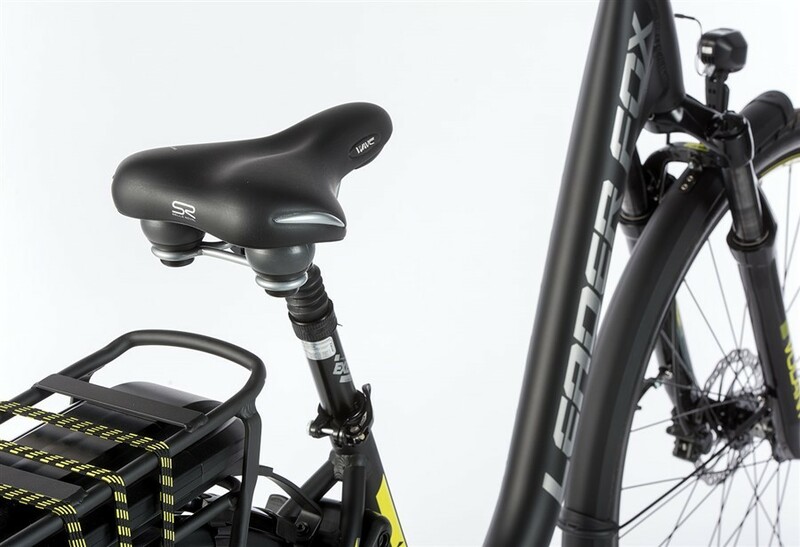 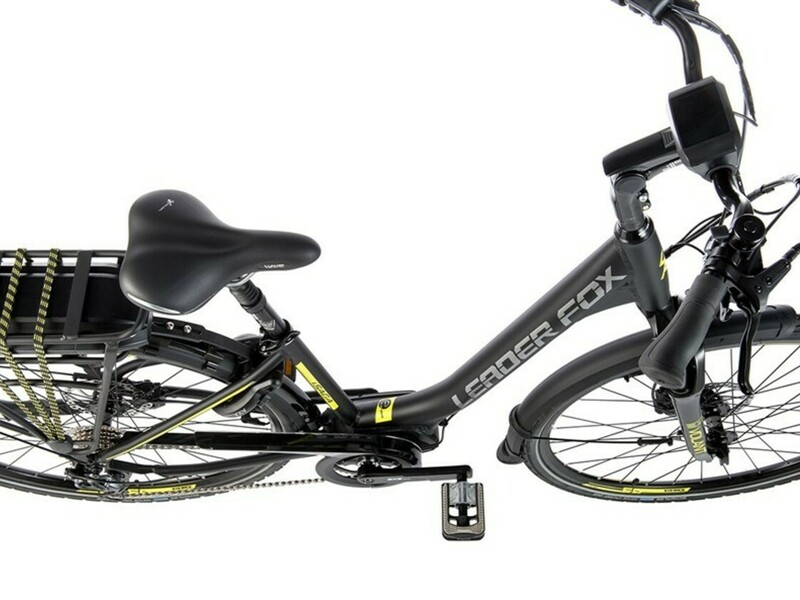 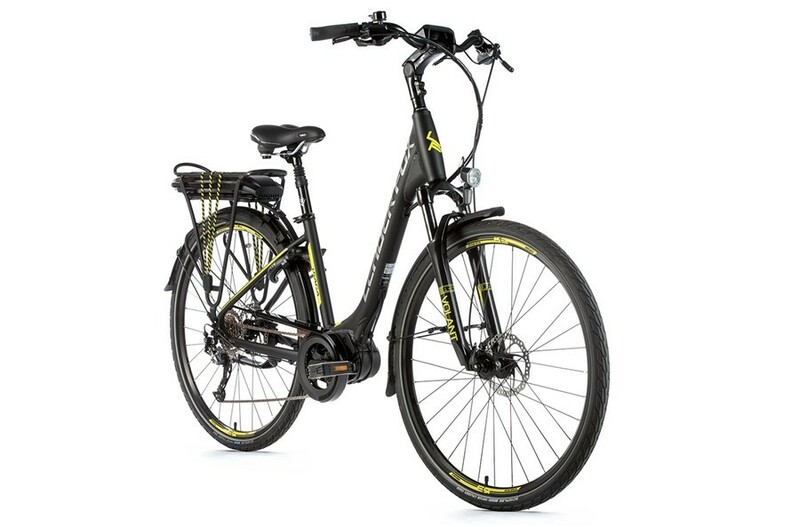 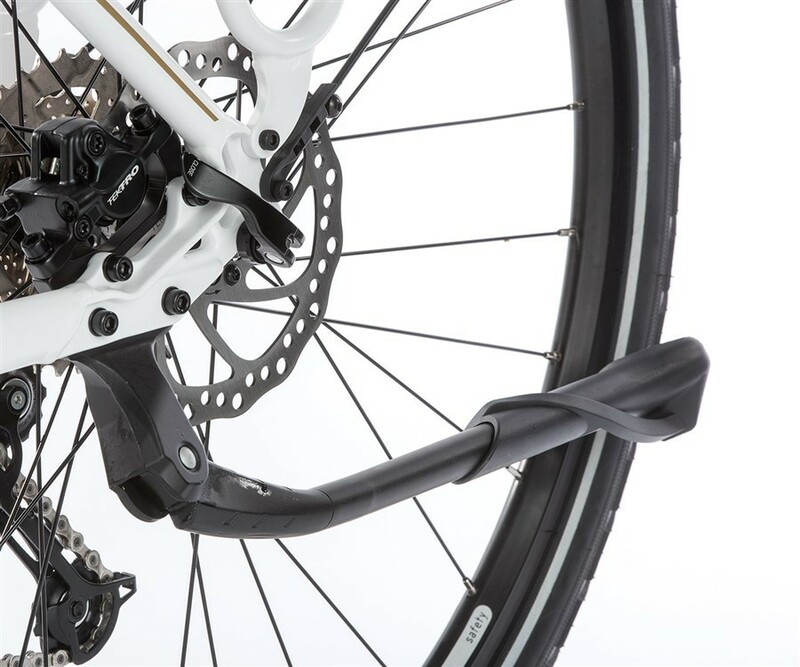 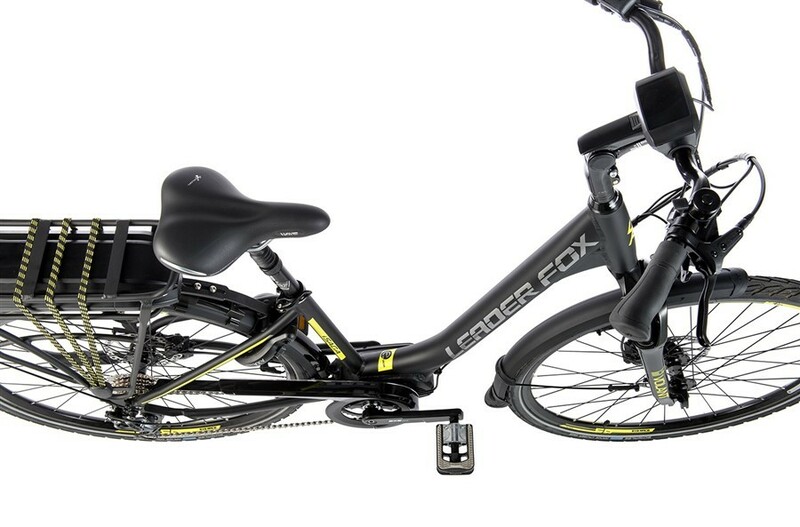 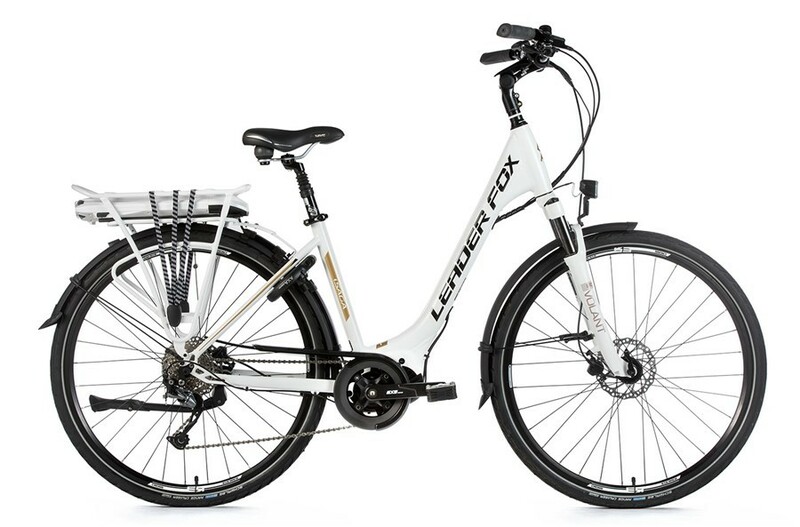 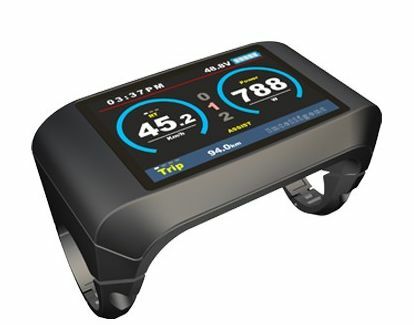 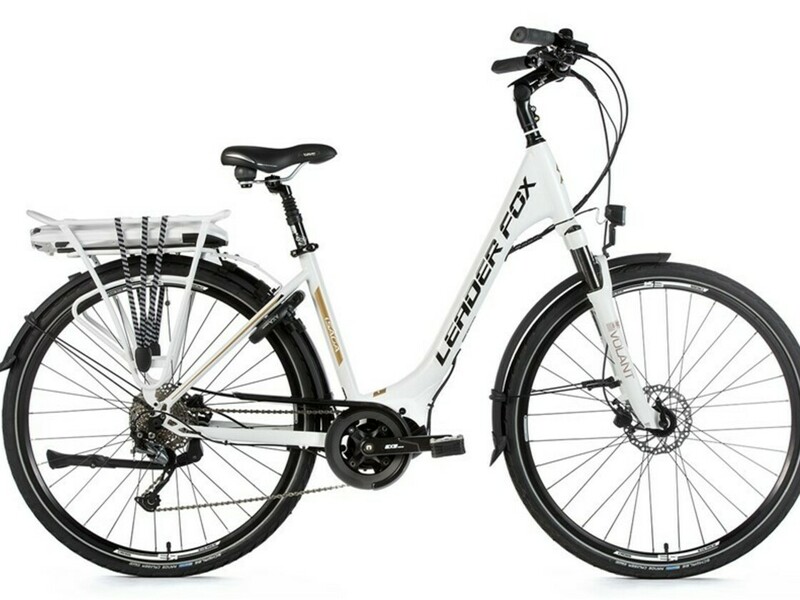 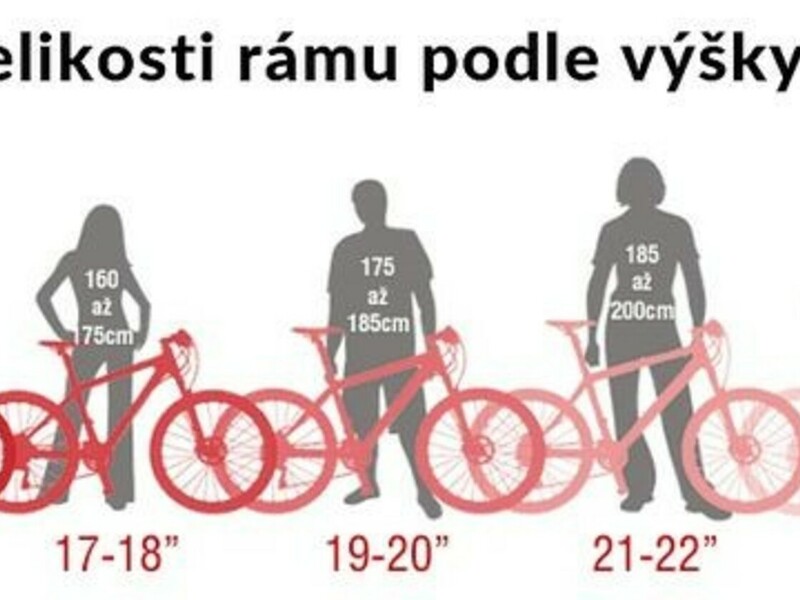 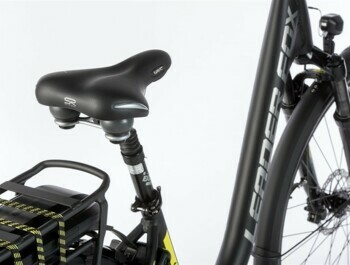 Great Ebike electric bicycles / CITY e-bikes / Leader Fox Saga City 28"
The 16Ah (576Wh) high-capacity battery with LG batteries is located on the rear carrier. 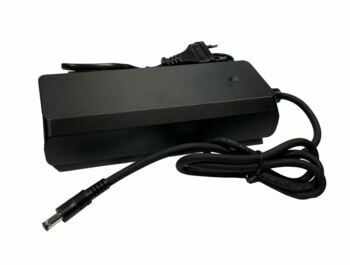 Fast charger with charging current 3A (formerly 1.8A). 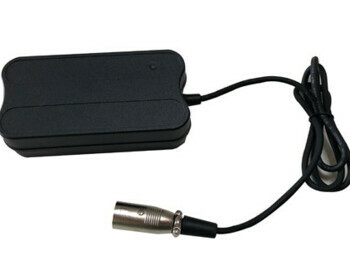 This significantly reduces battery charging time. 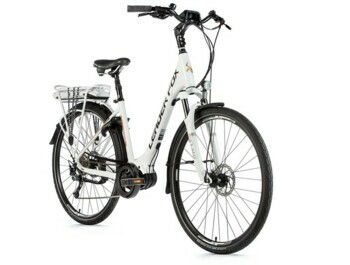 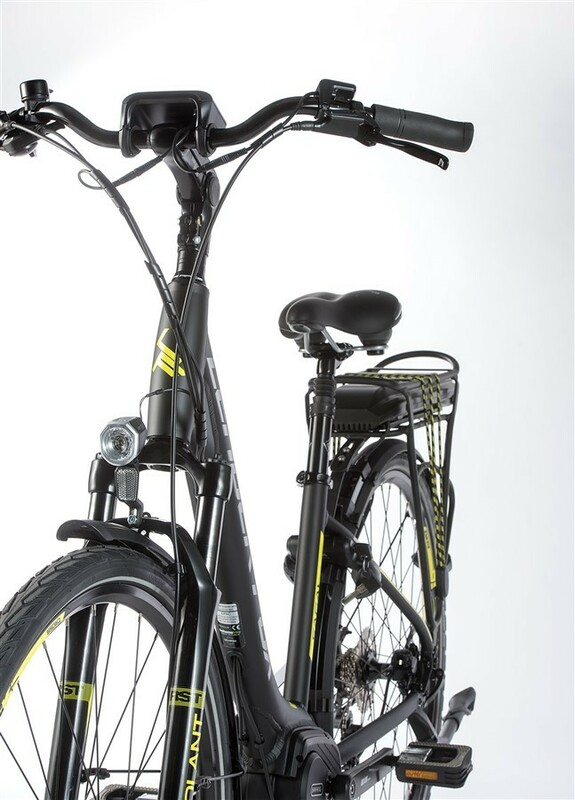 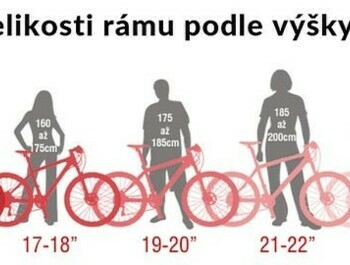 The electric bike is equipped with a Bafang Modest central motor with a nominal power of 250W and a maximum power of 350W. 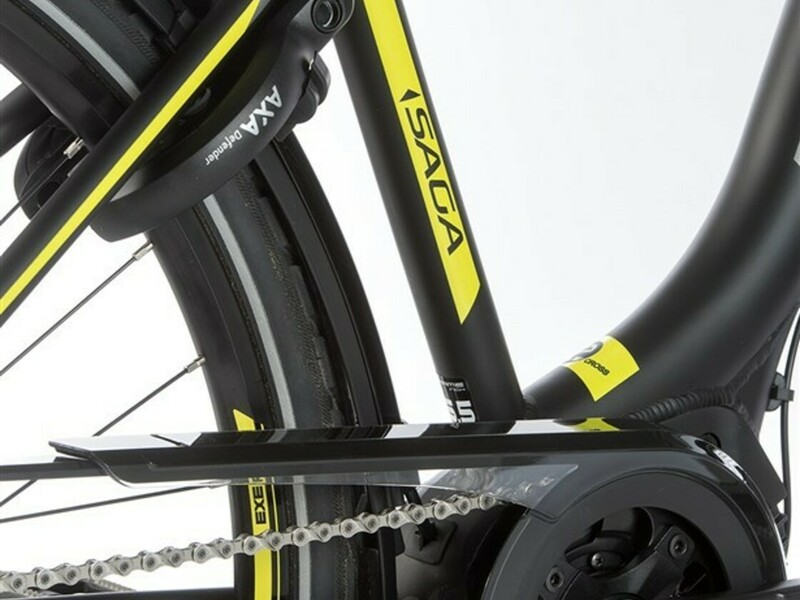 This engine boasts, among other things, a high torque that can reach up to 80 Nm and is equipped with an integrated speed sensor. 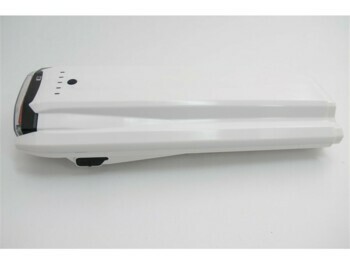 The Bafang Modest has quickly become one of the established central drives, thanks to its high-quality processing. It also excels in very smooth running, above average performance in climb and quiet running.